Denbigh was not a warship, nor was she a Confederate vessel. 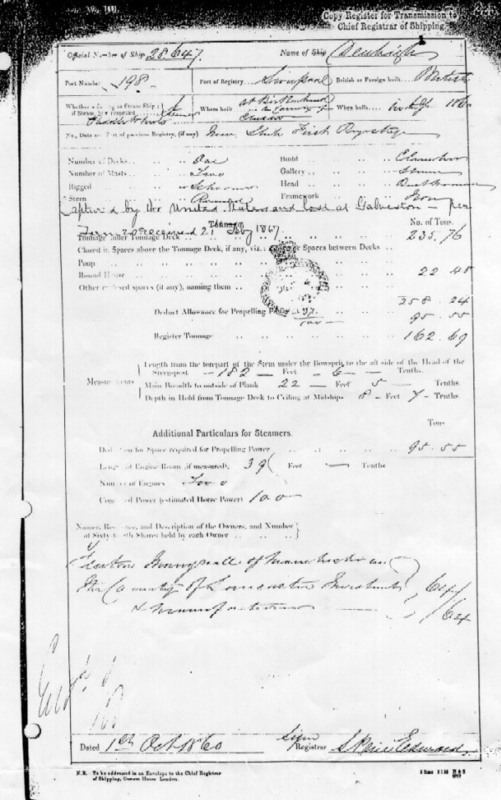 Like most steam blockade runners, she was a registered British merchant ship -- a civilian vessel. 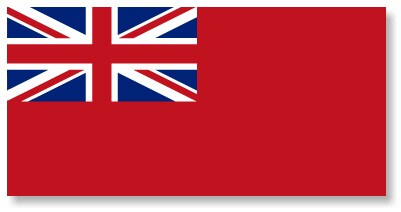 As such, she flew the Red Ensign (above), a flag that was perhaps more widely recognized around the globe than any other. Carried by every vessel of the British merchant marine, in the 19th century the so-called "Red Duster" could be found in virtually every port, harbor and anchorage in the world. -- per Form 20 received 21 Feby 1867." Special thanks to Mr. Jerry Williams of Birkenhead for providing this material. Wednesday, July 26, 2000 Revision.